Hello friends! How have you been? Is it me or this Summer just passed too fast? Between trainings, barbecues, hiking, barbecues, spending time with the family, making new friends, more barbecues… the Summer was one for the books. But then I saw her, the Golden Fleeced Sheep, and I knew: I was made for herding you baby… First I had to pass the test (and pass it like a boss) and then it was just work, work, work (stop thinking about RiRi, please, this is serious!). 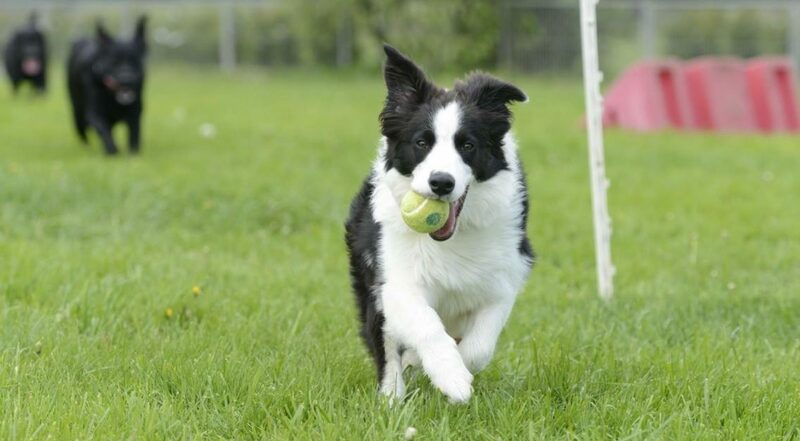 It’s not an easy job, not every dog can do it and it takes a lot of practice and coordination! In this picture we look as if we were filming a scene in “Fast and furious, ride herd on”. I was exhausted. These herding classes just made me discover new things about myself and my best friend, who learnt how to guide me with simple gestures, moves and words. Always in control, he helped me activate my instincts and control my excitement. We spent great time in nature, meeting new friends and relaxing. Jokes aside, I really missed you, my virtual friends! I hope you find inspiration in this and if you need more details, please reach out. Also, feel free to share the fun activities you’ve discovered this Summer, I’m a curious fellow. While my friend was studying hard for his MBA exams, i successfully passed my Herding Instinct Test. Here is how the story started. Since my childhood, i had a desire to herd sheep. One time back in the good old days, i saw a sheep in a farm, so i chassed it. i really didn’t know what to do next, but i knew this was something i was born for. Since that moment, i decided to consider it as a career path. Unfortunately, my friend doesn’t own a farm nor sheep. so all my dreams to become a professional one day shattered. However, my friend never gave up on me. Since whe we arrived to montreal, he started contacting farmers outside Montreal. finally he found someone who offers herding lessons and booked a date!!! What??? Herding lessons???!!. When he told me about it, i couldn’t help it but to tear (don’t believe this part, i didn’t even know what he was talking about). We had to wait till spring; and when spring showed up, it was time to do it.We drove 1:30 hr to the farm and we kept playing the song “eyes of the tiger”. finally we got there. I knew this was the D-Day. 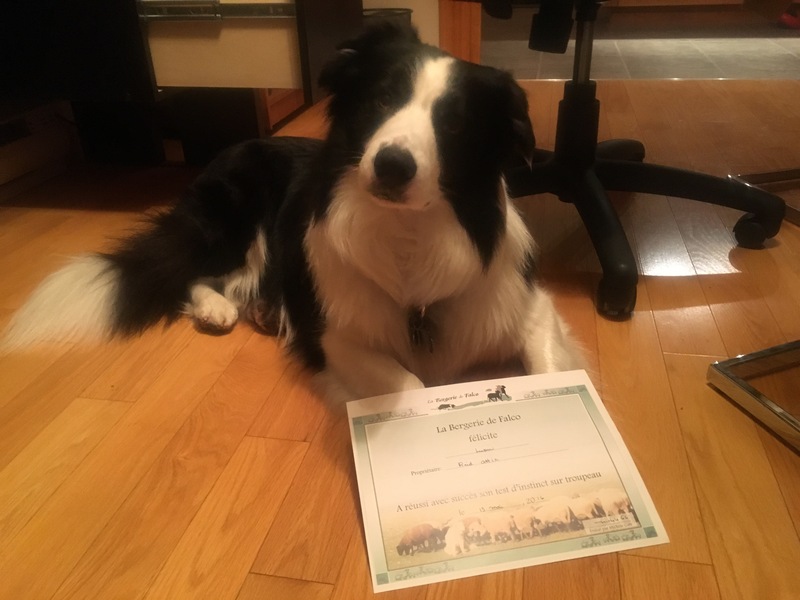 As a border collie, i don’t bite and i don’t bark to gather sheep. instead, i intimidate the sheep with what we call it : the eye (know for border collies). I was supposed to be like a magician. by simply staring at sheep, they should know where to move. although i was pumped up that day, but this never happened. there was one son of a …….., seems to be the head of the sheep, he was the troublemaker. i couldn’t move him a single inch. so i spoke to the juries and asked them to replace this pack with a more cooperative one. once they changed the sheep, it was magic. i was running around and assisting the shepherd gathering the sheep. There are several farms that offer such training. if you want to know more, please don’t hesitate to contact me, follow me, like my youtube channel, and leave me a comment. Olympia may be a horse show but the Dog Agility trials nearly steal the show. AG CH Darleyfalls Pipistrelle owned by Lee Windeatt won the Large Senior Dog UK Agilty Championship with this run. My friend had to prepare for my entry to Canada. at first, I thought because I was very important, but later on, I realized that getting into a country isn’t piece of cake. Fortunately, my friend made all necessary preparation for my journey, except for the business-class flight ticket. I had to spend the whole trip in my crate, somewhere in the lower compartment of something called Airplane. The length of the kennel must be equal to A + B. Connection flight : I had my connection flight through CDG Paris airport . depending on the airport, my friend had his luggage send directly to final destination. however, he had to pick me up from the “special cargo” belt, and check me in again at the counter for the connection flight. this was a great opportunity for me to have some break. walk a bit and play with other passengers at the airport. I was allowed to be inside the airport building, but under one condition, to be on leash. Also, Montréal–Pierre Elliott Trudeau International Airport allowed me to be on leash at the terminal. Clearing at the custom : I had to undergo inspection by a CBSA officer. my friend had to pay the fees. back then, it was CAD 32. today, it might have changed a bit (apparently higher). the inspection is first to make sure that my EU Pet Passport shows a valid vaccine, as well to make sure that I was transported in a humane way (in one piece with no broken bones). this is all you need to know about travelling from a European Union country to my lovely now home in Montreal-Canada.